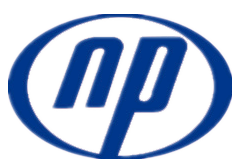 Naipu pump are the leading brand of the Chinese replaced Slurry Pump and component parts for the mining and metallurgy industries. The safe pump and spare components are fully interchangeable with World famous brand slurry pump. For the past 30 years Naipu pump has been involved with the manufacture of pumps and components for world famous brand slurry pump. Our engineers working in conjunction with these companies has allowed Safe pump to carry out research and further development of slurry pump material. Naipu pump use high chrome content in the manufacturer of all metallic components, which over the years has proven to give a quality wearing product. a. Aluminum Industry Slurry Pumps is widely used for transporting slurries with high ablation or high density. b. Aluminum Industry Slurry Pumps are Widely used for mining. c.Ah Centrifugal Slurry PumpsAh Centrifugal Slurry Pumps are Widely used for metallurgy. d.Ah Centrifugal Slurry PumpsAh Centrifugal Slurry Pumps are Widely used for building materials. Looking for ideal Aluminum Industry AH Slurry Pumps Manufacturer & supplier ? We have a wide selection at great prices to help you get creative. All the Ah Centrifugal Slurry Pumps are quality guaranteed. We are China Origin Factory of Wear Resistant AH Mining Slurry Pump. If you have any question, please feel free to contact us.